I absolutely love brunch. It is a great way to reunite with friends, recap the week or weekend’s events, and enjoy great food and drink. One of my favorite brunch items is the bloody mary (well actually, I would drink them at all times of the day). 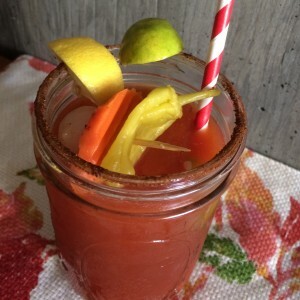 When I was younger, I thought they were weird- all that tomato juice mixed with vodka? Yuck. But as I’ve gotten older, I’ve come to appreciate their spicy flavor and their unique hangover curability. I hosted a brunch last weekend and needed to create the perfect bloody mary bar with all the necessary fixings. 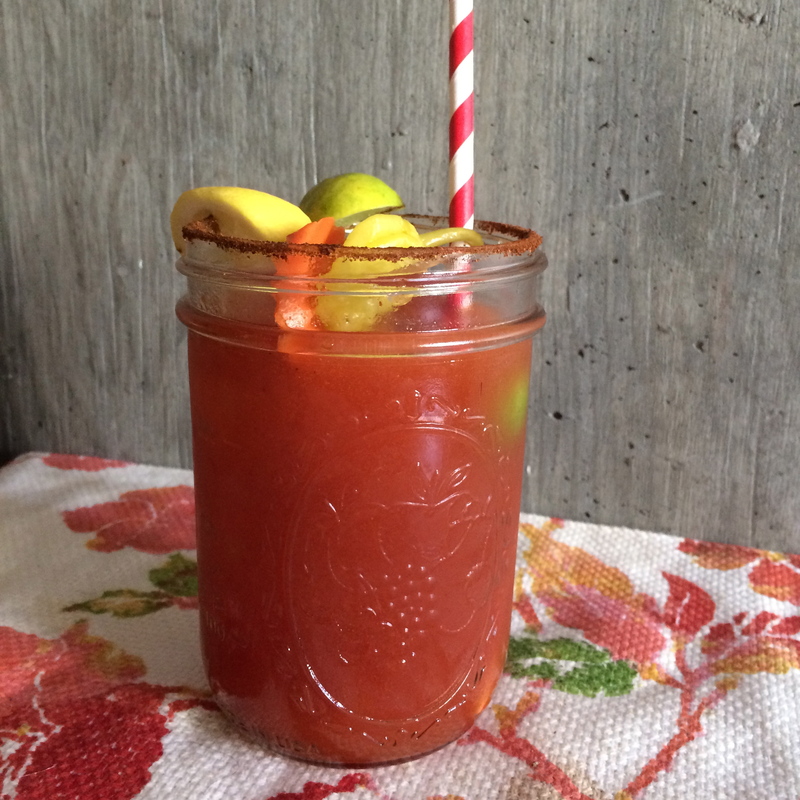 Here’s what I think your bloody mary bar should include! 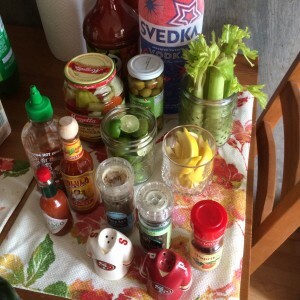 Pickled vegetables: I like the medley jars including onions, cauliflower, peppers, chilis, green beans, etc. Ice and plenty of it! 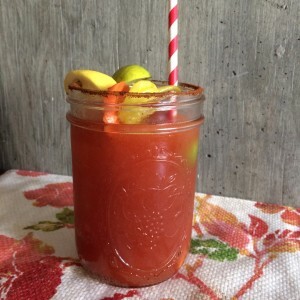 Now, there is no recipe to follow when making a bloody, but here is what I do. *Note all my measurements are approximate.